Tata said Cyrus Mistry also will chair the company's new product design and engineering review meetings. 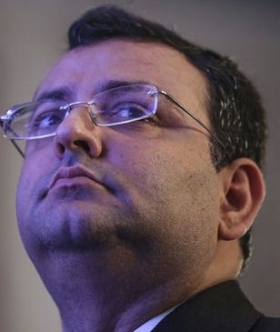 MUMBAI (Bloomberg) -- Tata Motors Ltd., Jaguar Land Rover's Indian parent company, said Chairman Cyrus Mistry, 45, will lead the company while it seeks a permanent replacement for Managing Director Karl Slym, who fell to his death last month. Tata Motors will be led by a committee chaired by Mistry that will oversee strategy and operations, Tata said in a statement today. Mistry also will run new product design and engineering review meetings. The board expects to appoint a new managing director in due course, it said. Slym, who headed Tata Motors except for the Jaguar Land Rover unit, led efforts to revive profitability at the Indian business, which has lost market share. Tata Motors, which relies on Jaguar Land Rover for the bulk of its profits, had sales of Tata-branded passenger vehicles in India slump 37 percent in the nine months through December, the biggest decline among 17 automakers reporting sales to the Society of Indian Automobile Manufacturers. Nano deliveries plunged 72 percent. Slym died Jan. 26 in a fall from the 22nd floor of the Shangri-La hotel in Bangkok. He was 51.